For most Filipinos, traffic is a way of life. The average Pinoy commute is about 15-20km (or about 10-15 miles) this easily translates to a 45 min commute by car (yes, 45 min) Now, radio traffic reports are pretty useless, telling you that's it's traffic when you're already STUCK IN TRAFFIC. Wouldn't it be great if we had a system similar to the ones abroad that show the traffic status before we leave the house or office? Well, the MMDA is slowly rolling out a very competent online traffic status system. Still in public beta, it has saved me at least 8 hours a week by giving me information on whether to leave now, wait it out, or take an alternate route. The apps are very nice to have if you have mobile internet, the website gives further details on any accidents and road work being done, and the Twitter account provides alternate route suggestions. Great work to the MMDA for this app! I like it. Now they just need the infrastructure to monitor more than just the four or five roads that's there now. All in all a very cool app. You can also use WAZE.. 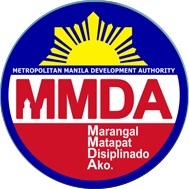 I use it in conjunction with the MMDA app. It's a traffic social network. The app contributes your current speed on the road you're on so that when you view the map, it actually shows the traffic speed on any given road.